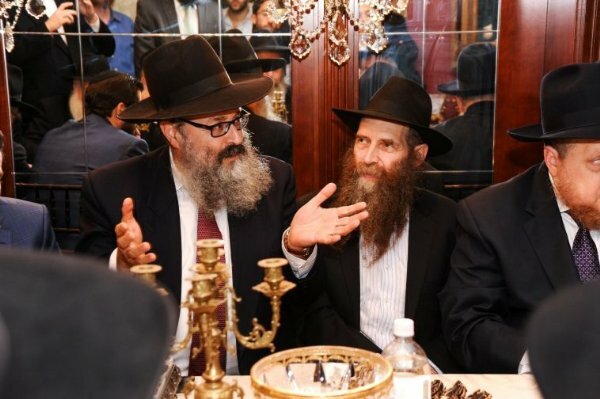 Israel's Chief Rabbi David Lau was recently welcomed by in a reception organized in the Crown Heights, NY area. 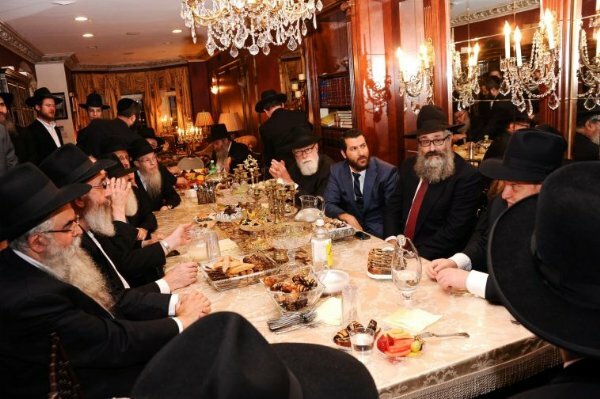 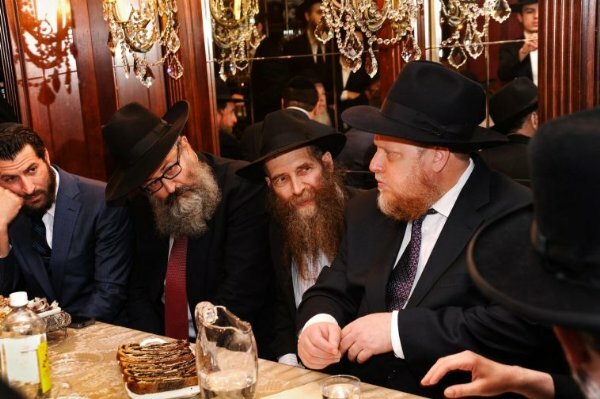 A cross-section of rabbonim, community leaders and educators from Crown Heights were joined by representatives of other Metro NY- NJ Jewish communities for a reception to welcome Chief Rabbi of Israel David Lau, Thursday night. 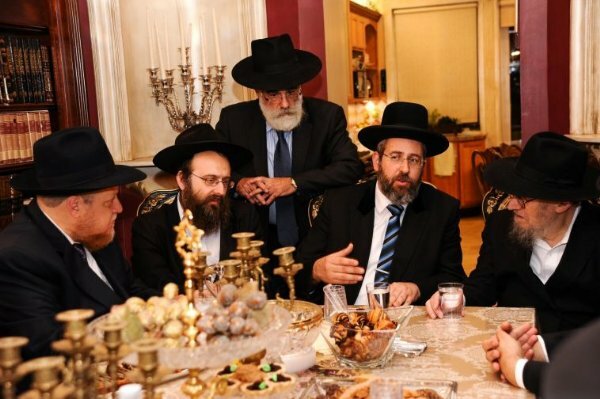 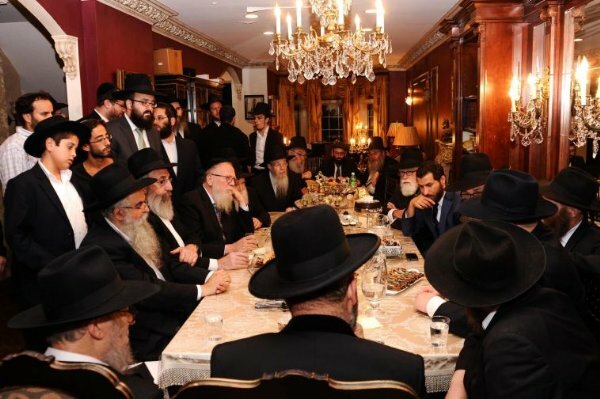 Hosted at the home of community activist Chanina Sperlin, the Chief Rabbi was seated alongside two members of the Beth Din of Crown Heights, Rabbis Yaakov Schwei and Yosef Braun. 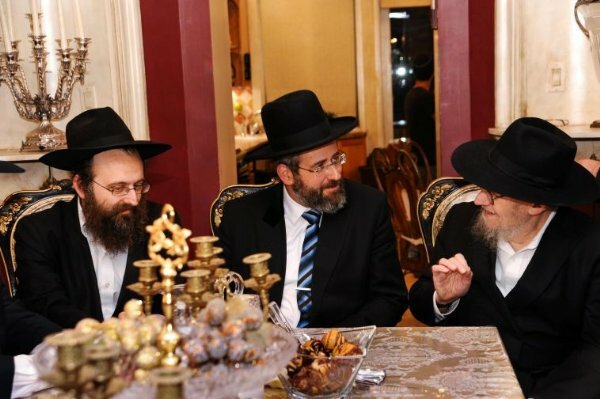 Rabbi Chaninah Sperlin introduced the representative of the Rebbe's Shluchim, Rabbi Yosef Zvi Carlebach, founding Rabbi of Chabad House at Rutgers University, and spiritual leader of Congregation Sons of Israel in Ocean Twp., NJ. 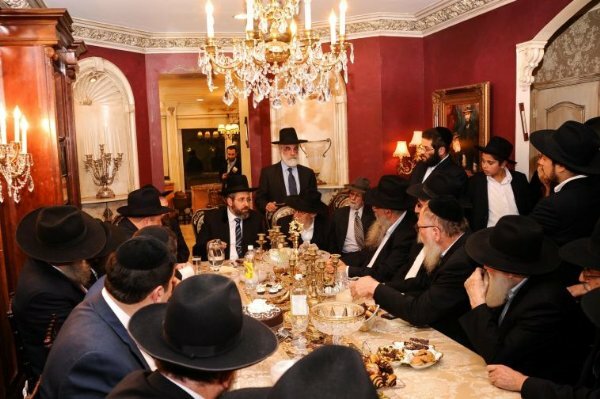 Rabbi Carlebach spoke about the respect that the Jewish world and even the secular world of his home state of New Jersey displays for religion in general and the Rabbinate in particular. 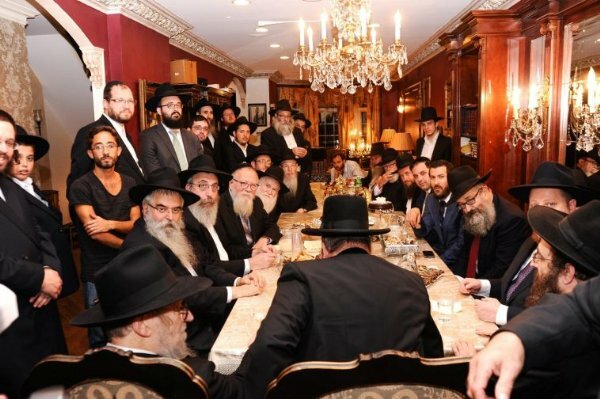 Following the Rabbonim, participants had a chance to speak. 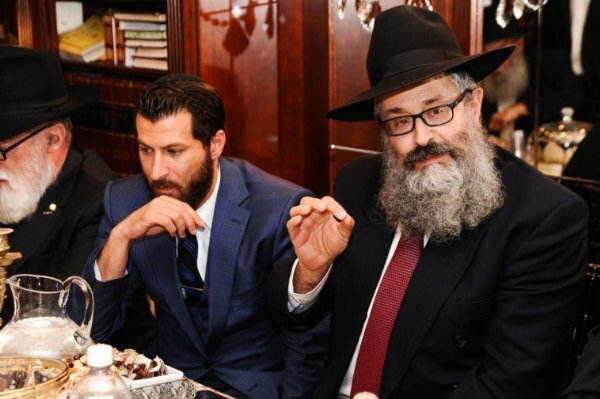 One of them, Rabbi Velvel Konikov suggested that in the current difficult times in Israel, young children should be encouraged to gather and engage in Torah, Tefilla and Tzedaka. 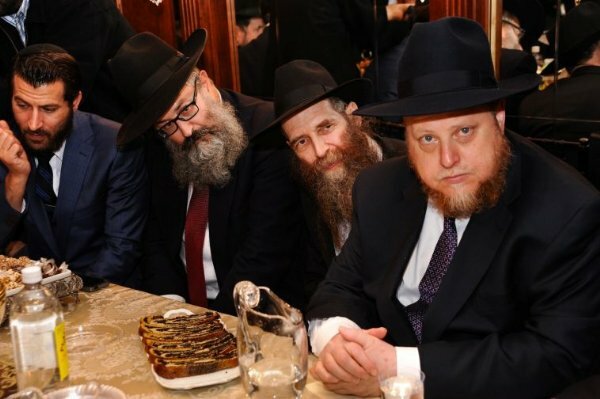 Another speaker, Rabbi Yaacov Chazan thanked the Chief Rabbi for implementing something very dear to the Lubavitcher Rebbe, namely that square "Luchot" (the double monument - representing the Ten Commandments), should replace the rounded ones in the symbol of the Chief Rabbinate. 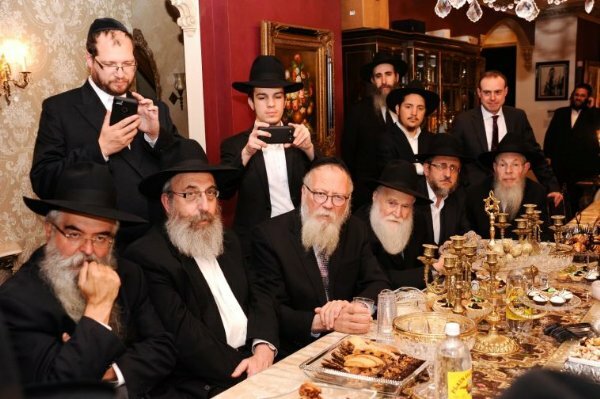 In response, Rabbi Lau noted that he had seen to it that a large set of "Luchot" should be displayed on top of the new headquarters building of the Israeli Chief Rabbinate at the entrance to Jerusalem. 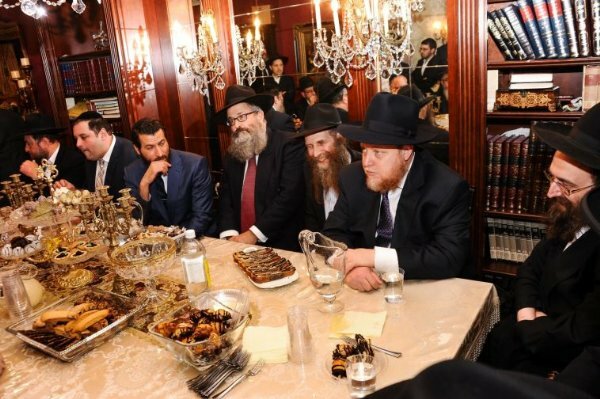 Rabbi Lau spoke of the close ties between the Israeli community and Crown Heights. 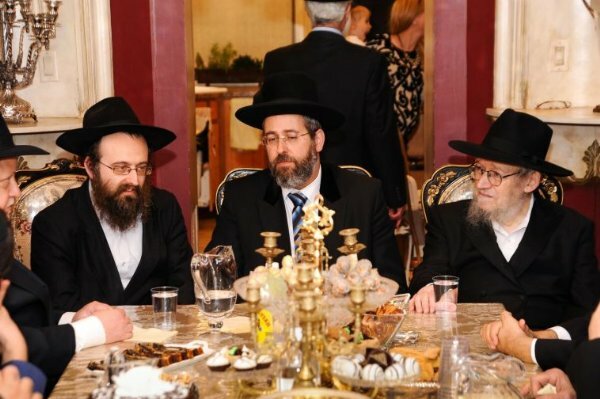 He described some of the challenges that the Rabbinate faces in the sanctity and wholeness of Torah and the Jewish people and the holy land.